Royal Oak Realty Trust has acquired Weco Manufacturing’s headquarters and manufacturing facility located in Ontario, NY. The property is off State Road 104, within the Greater Rochester, NY industrial market. The site location provides access to the industrial manufacturing and business services corridor of Buffalo, Rochester and Syracuse, NY, as well as other metro markets in the Midwest and Northeast regions. 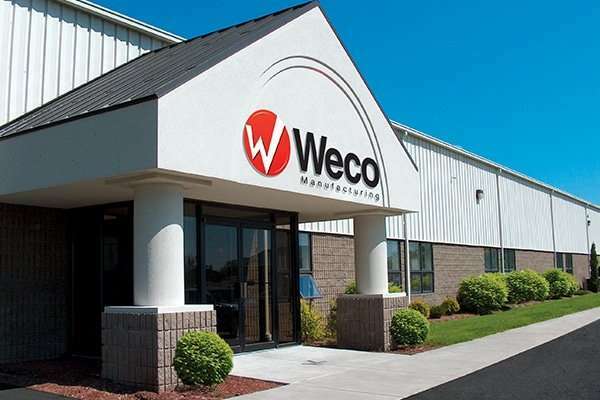 WECO, founded in 1952, is a leading single-source contract manufacturer of short run, high margin, finished fabricated metal components, with a primary focus on electronics. WECO serves a diverse group of customers from Fortune 500 to small/medium-sized firms. Their list of products includes assembled products, custom enclosures, cabinets, shipping containers, panels, and stands. WECO Manufacturing is ITAR and ISO certified.